About The Westmoreland Conservation District: The Westmorland Conservation District helps people use resources wisely. 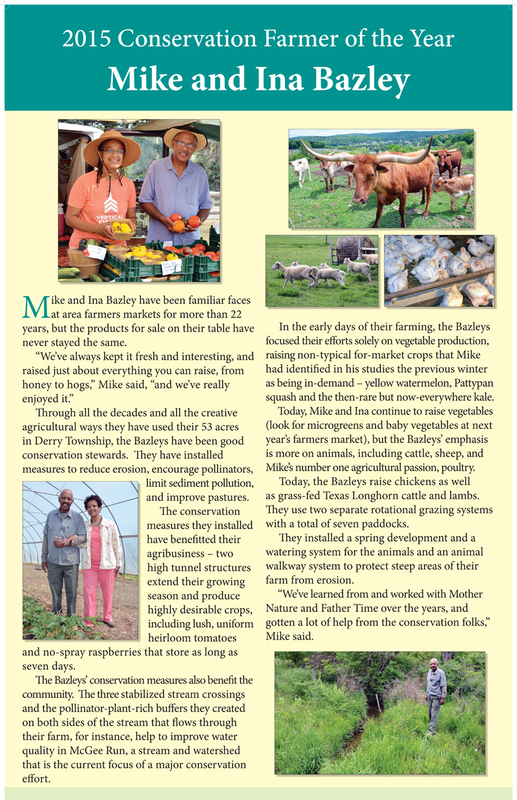 The organization was established in 1949, when local famers, seeking help to conserve their soil and water resources, approached the County Commissioners. As the county has grown and changed in the 66 years since then, the District has responded with new programs to help ensure minimal negative impact on all aspects of the county’s natural wealth — its soils, forests, streams, and open space — as well as its valuable, productive farmland. In addition to its science-based efforts, the District serves as a clearinghouse for conservation information. The District is located in a restored 1880s-era barn now located at 218 Donohoe Road, Greensburg. 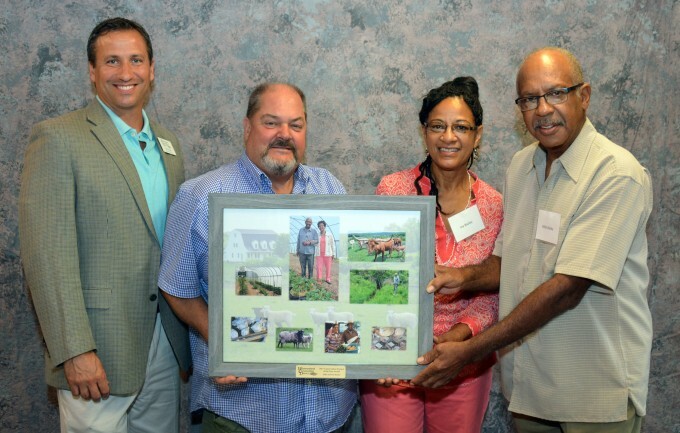 Mike and Ina Bazley (right) received the award for Conservation Farmer of the Year. Making the presentation on behalf of the Conservation District were, left to right, board members Westmoreland County Commissioner Ted Kopas and Kim Edward Miller.